I'm not normally a fan of chain restaurants but there is something about Turtle Bay that doesn't make it feel like a chain, even though it is. It's the one place I consistently go back to, that I suggest to people looking for somewhere to meet friends or go on a date, and that I often meet my girl friends at for a few cocktails and a good catch up. 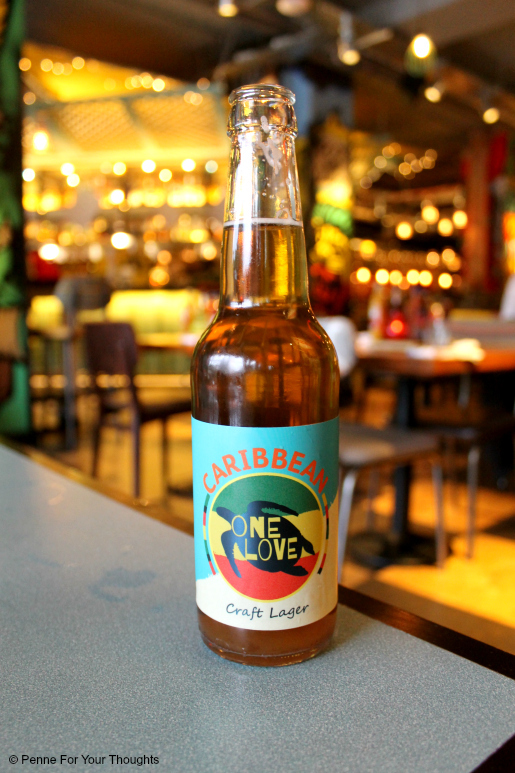 From the moment you step in the door you are transported to island life, it has a very reggae reggae vibe. The music, the lighting and the friendly service are all great, no matter which Turtle Bay you go to, and the food is always tasty. So I normally always have the same thing when I go to Turtle Bay. I always have the Trinidad Chicken Curry One Pot and it's always amazing. The one time I didn't get it and someone else in my party did, I had major food envy. So when I was emailed to come and try out their new menu items at their Solihull branch I was a little apprehensive, I mean because I wouldn't be able to have my beloved chicken curry! We started out with trying one of their new cocktails, the Goombay Smash, there is three new ones on the menu. 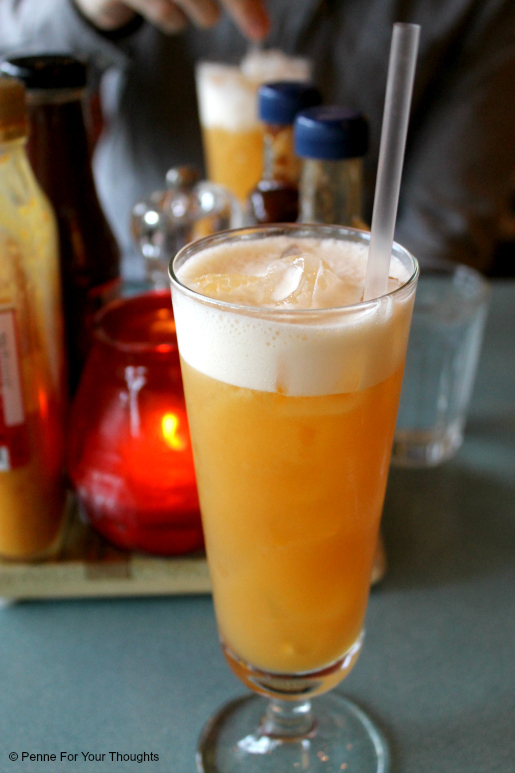 The Goombay Smash, made from two types of rum, apricot liqueur, bitters and shaken with orange and pinapple, was so refreshing and tasty, extremely easy to drink and I absolutely love the fact that they have two for one cocktails during their happy hour....which lasts most of the day! On to starters. We decided to share one of their new sharing platters, we went vegetarian and did the Vital Veggie Platter just because we liked the sound of it more and I was excited to try new things! 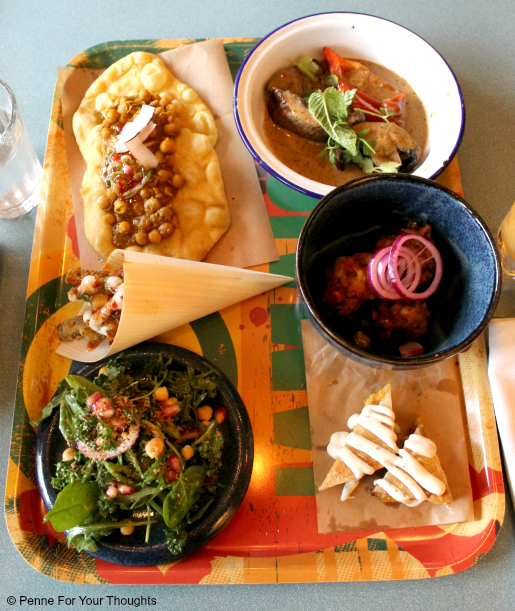 It came with sweetcorn fritters, crispy okra, jerk pit grilled mushrooms and peppers, pepper roti, bara flat bread, spiced curried chickpeas & cucumber chutney & salad. It was the perfect amount for us two, but I'd say it could feed three at a push. My favourite was definitely the crispy okra which I hadn't tried before, they tasted a bit like a sweet and sticky chili pepper, without the spice. 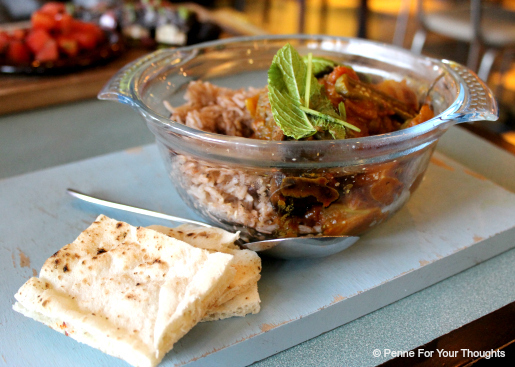 I also really enjoyed the bara flatbread as it was packed full of different flavours and textures. I love getting sharing boards as starters as it makes you try new things you wouldn't normally pick. For mains I had the new Bajan Beef Cheeks One Pot. It was meant to come with steamed rice but I opted to have rice and pea instead. I have to say that I was a little disappointed when it came out in a Pyrex style dish and not the tin style ones that the other one pots come in. However, taste wise it was good. The beef cheeks were cooked wonderfully, and were so tender and the flavours and spices were great. It wasn't too spicy but it had a bit of a kick to it. Would I order it again? No. But not because it wasn't nice, it just wasn't as good the the Trinidad Chicken Curry. 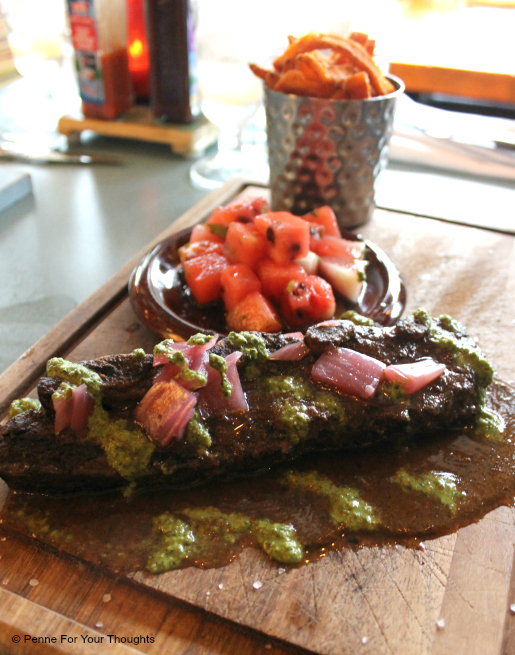 Chris opted for the new Slow Braised Beef Rib, with sweet potato fries and a watermelon salsa type thing. He had the classic jerk rub on his ribs, which was delicious and you could really taste it, which is always a bonus. For dessert we shared the Fresh BBQ Pineapple. All the flavours really complemented each other and it was the perfect light dessert to end the meal. The new menu options are a great addition to the already great menu that Turtle Bay has to offer. They have plenty of vegetarian options and even a few vegan options. They also have quite a few gluten free options. It's a great place to go on a date, or as a big group of friends as the menu really does cater for all. 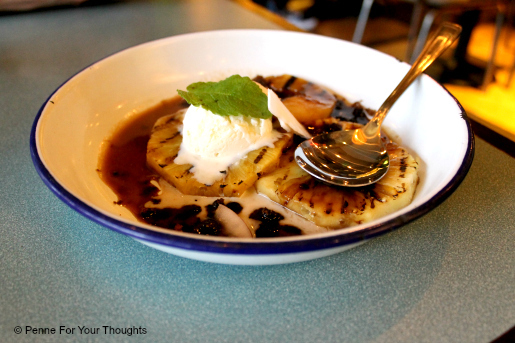 Disclaimer: I was invited to try the Turtle Bay menu free of charge however as always all opinions are my own and I was not required to provide a positive review. I just genuinely love Turtle Bay! The menu is really awesome and seems delicious. It provides me an idea to have the same menu in the part that I am organizing for my office colleagues. So it is high time to try them all with my friends to the restaurants.It seems like I have planned for this and they shows up in front of my eye. Oh those lovely food, i just cannot stay always from them.